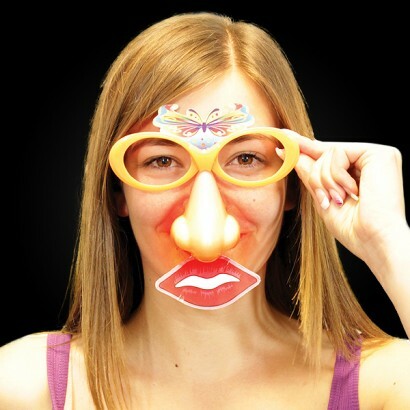 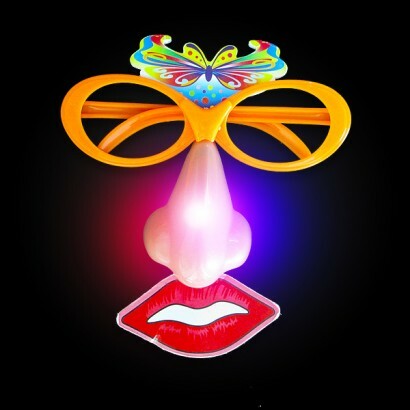 Hide behind a fun disguise in Light Up Faces Wholesale! 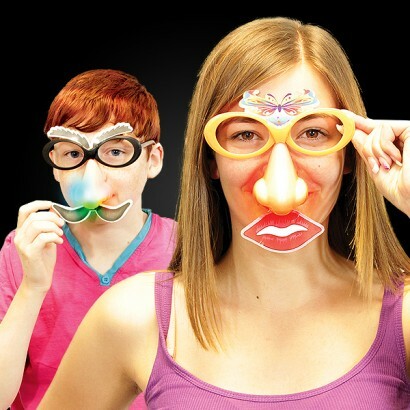 Fake glasses and a large light up fake nose make fantastic party pieces! 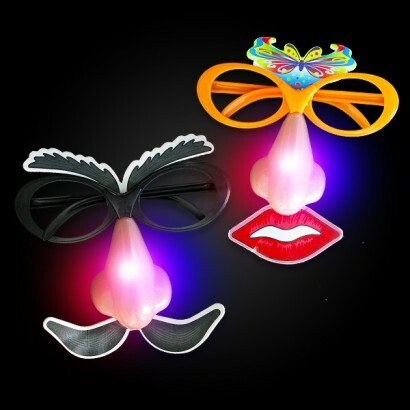 Choose from male, female or a mix of each of these hilarious Light Up Faces Wholesale! 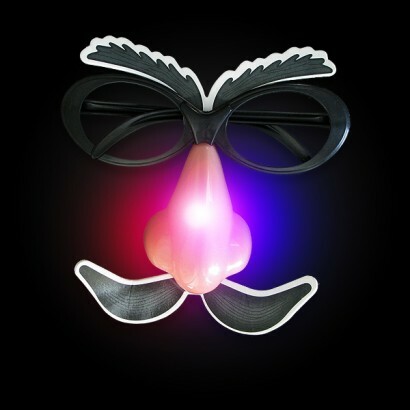 Brilliant for fancy dress, parties and events, these hilarious fake glasses complete with a large fake nose that’s lit be red and blue LED’s that flash so that you really stand out from the crowd! 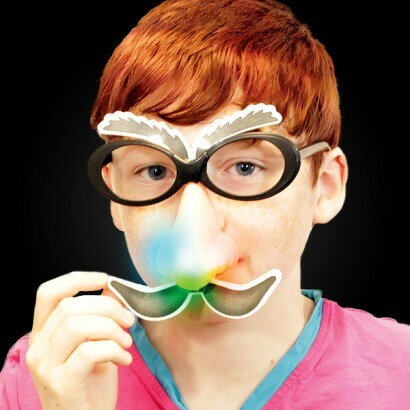 Brilliant fun, finish off the look with a moustache or hot lips and your fantastic disguise will be complete!